It was trends rather than numbers that characterised the week of metals. 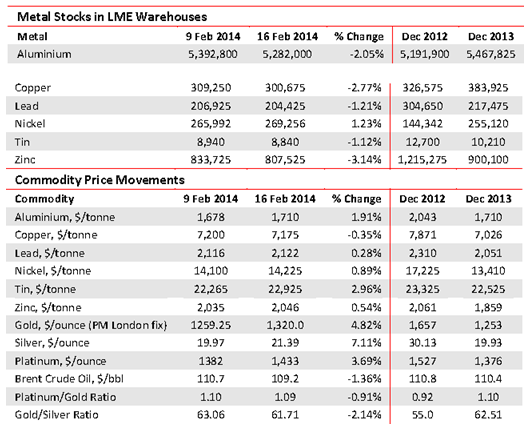 Warehouse stocks were hardly moved, bar zinc, down a chunky 3% and now 34% below its level of 4 months ago. Over that same period the price has hardly stirred but is up marginally from its 2013 lows. Copper, for long the bookies’ favourite, is starting to attract doubters. The finger is pointed at low Chinese growth and poorer US economic data. So the forecasters have their red pencils out. Bloomberg looks for a 3 months price of $7078/t this year (down 3.7%). Reuters says down 4.2% throughout 2014 but then contradicts itself by looking for a short, sharp squeeze for physical markets as investors fall. All this before a surplus later this year. Overshadowing all this is the Indonesian position, which we note in Countries. Nickel continues to attract its early-torebound adherents. Now warehouse stocks are twice their levels of a year ago and still rising. The cash price is up 6% since the start of the year and is in a massive contango (32%) over 15 months. Much, but not all, hinges on Indonesian concerns. That country produces about 13-15% of total mined output but most is shipped in concentrate (semi-processed) form for smelting elsewhere. The government wants it to be done locally but has been unrealistic in its timescale (like now or else). So artificial shortages loom. 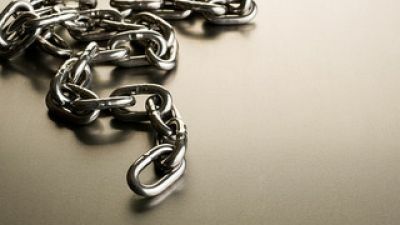 Some sources are pointing to a booming offtake, increased by China, but the great user is consistent in its demand for base metals at about 35-40% of world mined output. Its current nickel appetite is around 37% of total. Meanwhile Freeport McMoran, deeply involved in mining in troubled Indonesia, is considering doing a J/V on a copper smelter there with State-owned PT Aneka Tambang. The speak of 300,0000/yr capacity.